Lapland is Finland’s vast white wilderness; where you come to experience the midnight sun and the Northern Lights, to see reindeer herds and maybe even meet Father Christmas! It’s huge and relatively empty, but the Sámi people have made it their home and their communities are some of the region’s largest. Many of the best places to stay in Lapland are resorts associated with skiing, Arctic adventures or the jolly man in red. But if you’re arriving in Lapland as part of an icebreaker cruise then you’ll find some of the best places to stay are found in the port town of Kemi, or in the capital, Rovaniemi, which is also Santa’s home town. Apparently. Lapland is a surprisingly flat region. There are vast forests and numerous swamps - when they’re not frozen over - and gently sloping, rounded fells or small mountains. There’s lots of ski terrain, though not much of it mountainous, but the region is ripe for Nordic skiing and trekking. Obviously Christmas is an appealing time to visit, but it’s very dark - though it is a great time so see the Aurora Borealis. By February there’s enough light to ski by, and still plenty of snow. Between June and July in Rovaniemi the sun doesn’t set at all. Autumn is a nice time to visit if you’re interested in doing some hiking, biking or fishing. If you fancy learning more about the Sámi people, the Siida museum in Inari is the place to visit. Set within a complex of old farmhouses and huts, this very fine museum explains the region’s ecology and offers plenty of detailed information on Sámi lifestyles. Rovaniemi’s Arktikum museum is another excellent spot with fascinating information about both the Sámi people and the Arctic region as a whole. If you're into your hiking then the Oulanka and the Pyhä-Luosto National Parks are both full of splendid trails. 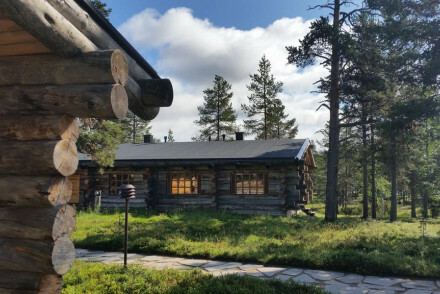 Our pick of the best places to stay in Lapland are fabulous spots to get back in touch with nature, whatever the season. If you're in Lapland to ski then it's obviously best to come in the winter months. Be warned though that the average temperature in January and February is around -10°C so be sure to wrap up warmly! If on the other hand you're here to hike then May to September's probably your best bet. There are a number of airports in Lapland: Kittilä Airport, Rovaniemi Airport, Ivalo Airport, Enontekiö Airport, Kemi-Tornio Airport and Kuusamo Airport. Norwegian Air offer direct flights from Gatwick to Rovaniemi, however if you're flying to every other airport in Lapland then that'll require at least one changeover. From the airport you can take the bus or the train on to your final destination, unless of course it's fairly remote. If that's the case and you need to hire a care, we recommend you visit our online partner Rentalcars. Browse through our list of all the best places to stay in Lapland. 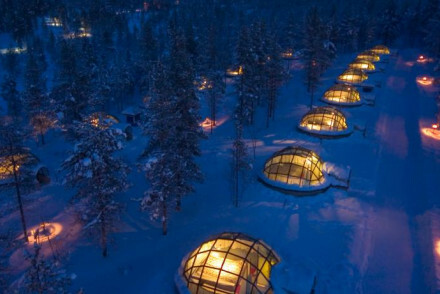 Alternatively, search through our recommendations of the best places to stay in Finland as a whole. You could also widen the net to look through our pick of the best places to stay in Sweden.